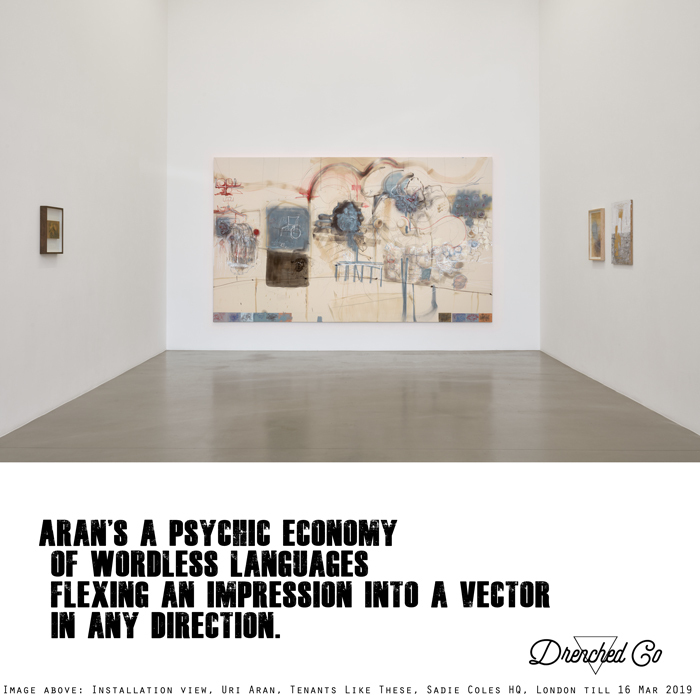 “Aran's a psychic economy of wordless languages flexing an impression into a vector in any direction. 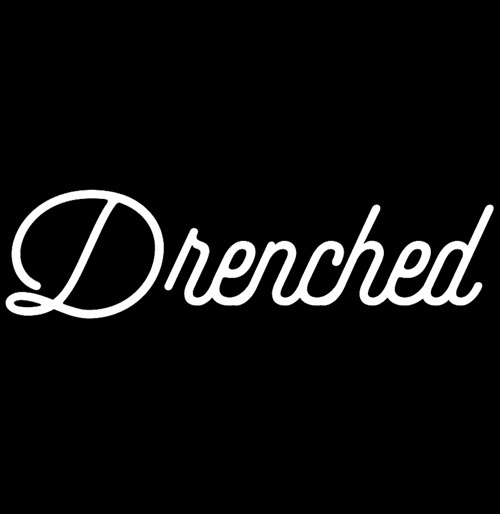 "- Drenched Co.
into the ancient gravity of the generations. 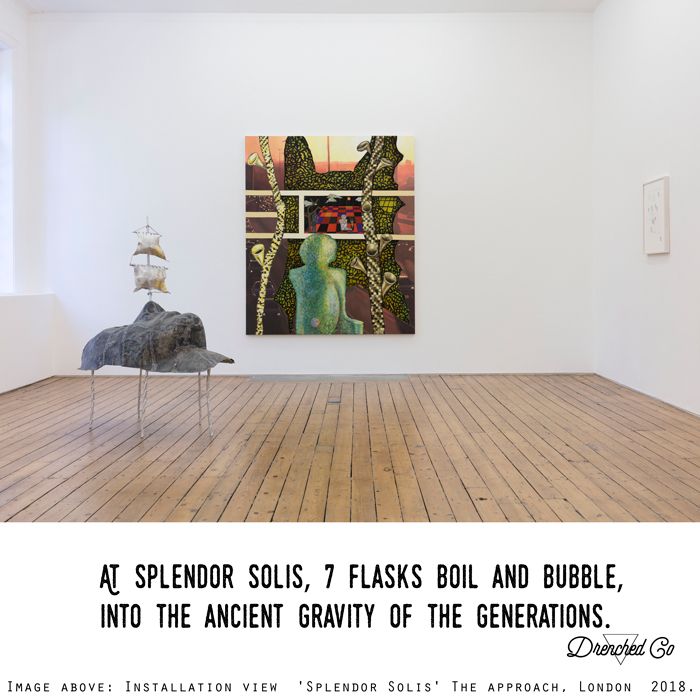 "- Drenched Co.
Caption: Image above: Installation view 'Splendor Solis' The approach, London 2018. Courtesy of the artists and The approach, London. 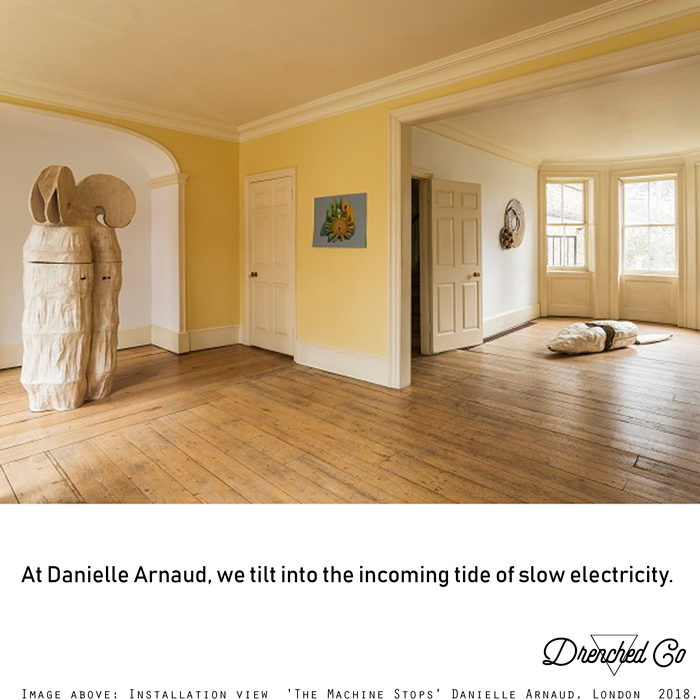 “At Danielle Arnaud, we tilt into the incoming tide of slow electricity. "- Drenched Co.
Caption: Image above: Installation view 'The Machine Stops' Danielle Arnaud, London 2018. Courtesy of the artists and Danielle Arnaud, London. Photograph by Oskar Proctor. 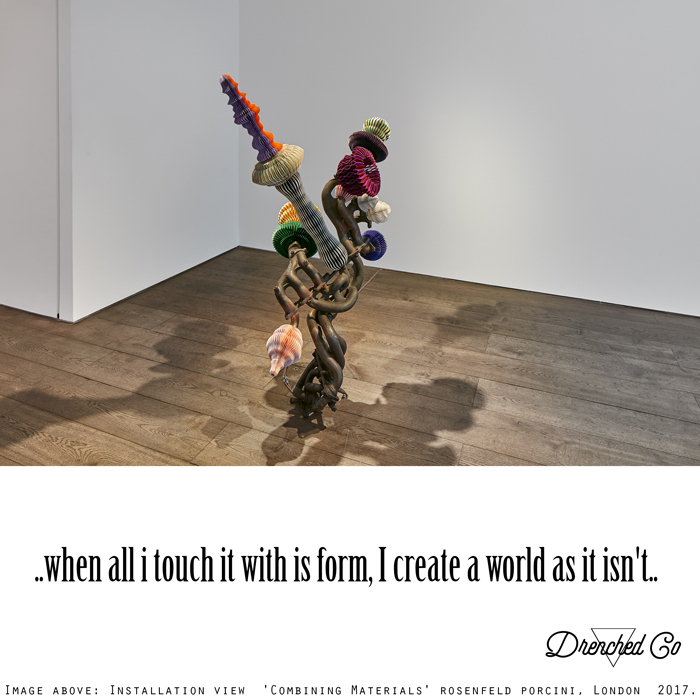 “..when all i touch it with is form, I create a world as it isn't.."- Drenched Co.
and the vicissitudes of its charm. 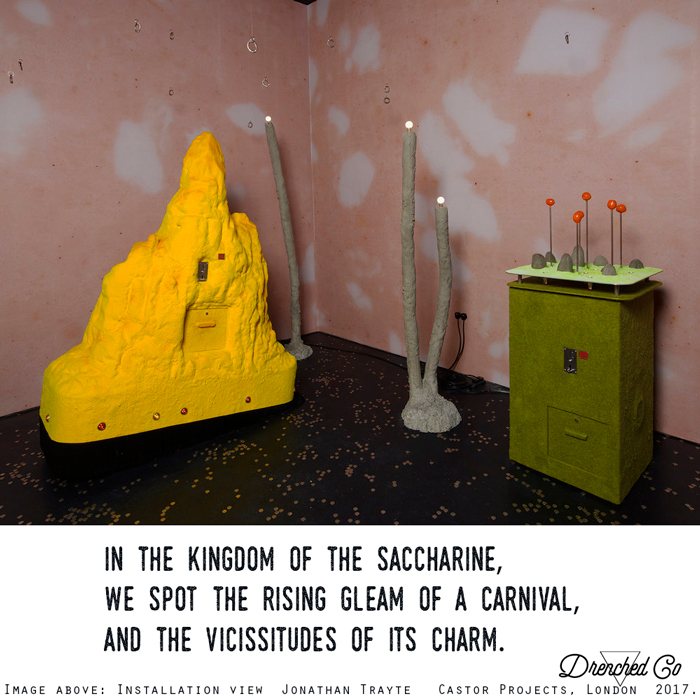 "- Drenched Co.
Caption: Image above: Installation view Jonathan Trayte Castor Projects, London 2017. Copyright Jonathan Trayte. Courtesy Castor Projects, London. “Language graduating slowly from language. 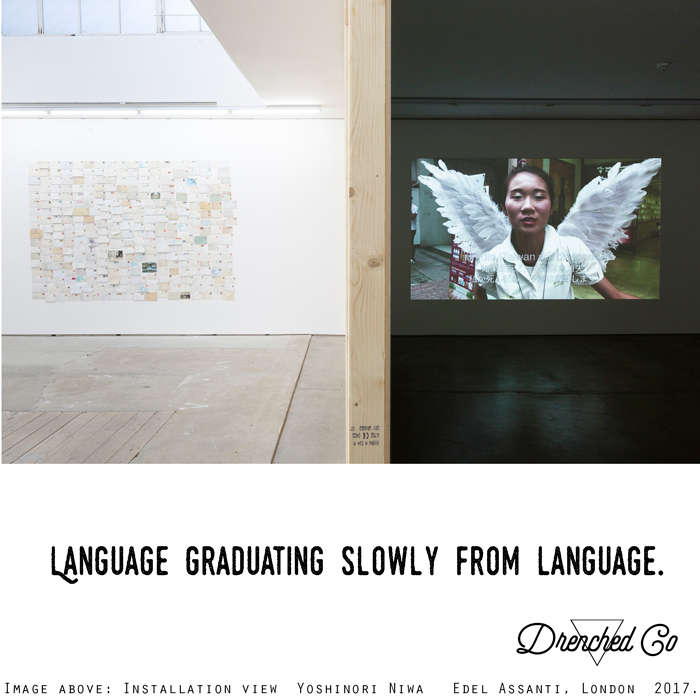 "- Drenched Co.
Caption: Image above: Installation view Yoshinori Niwa Edel Assanti, London 2017. Copyright Yoshinori Niwa. Courtesy Edel Assanti, London. and finds a word in a foreign tongue. 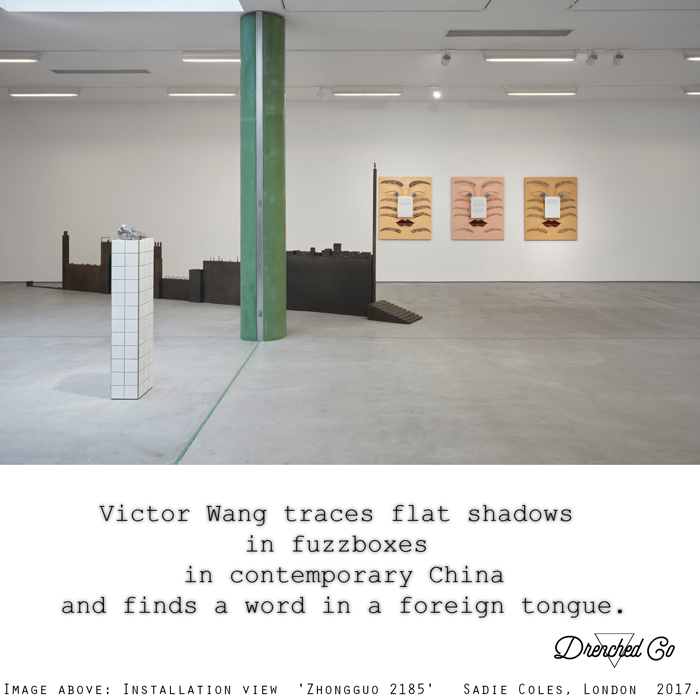 "- Drenched Co.
Caption: Image above: Installation view 'Zhongguo 2185' Sadie Coles, London 2017.